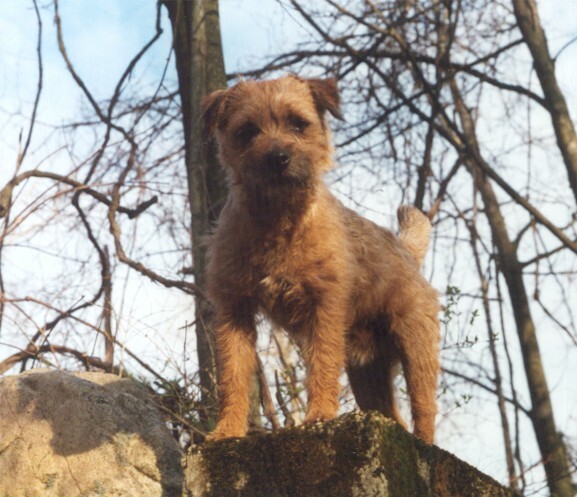 The Border Terrier is one of several working terrier breeds to emerge along the borders of England and Scotland where terriers have been used to hunt fox, otter, and vermin for centuries. The Border, the Bedlington, and the Dandie Dinmont are thought to have a common ancestor. Originally bred as a working terrier, the Border's most important breed characteristics still are those necessary for the performance of his work. The job of a working terrier is to follow its quarry underground, cornering it, and either dispatching it or harassing it so much that it bolts from the earth.